It is more important than ever that sometimes we leave modern “western life” behind and head out into the outdoors to enjoy our world. This increases our understanding of nature and the planet we live on. In order to enjoy hiking and backpacking trips into the back country, it is important to plan well and use adequate equipment for safety and comfort. It might not be about feather beds and cozy blankets, but we do need to be able to stay warm and get adequate rest. Therefore, in this article, we will talk about the Klymit Static V2 Sleeping Pad and what makes it worthy of a review. 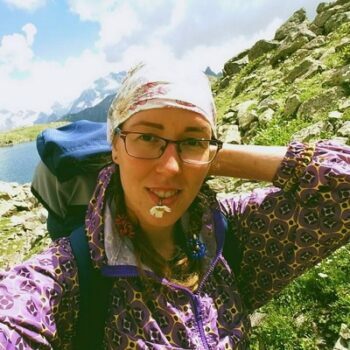 Having a sleeping pad for your backpacking adventure is a necessity as you will not get a proper night’s rest if you do not have something comfortable to sleep on. If you sleep on the cold, harsh ground, you could be laying on uncomfortable rocks and limbs that prevent you from resting correctly. It will be worth the extra expense to be well rested when you pack up the next day for the next leg of your journey. The packaging for this sleeping pad is very durable, to prevent puncture. The packed weight is 16.33 ounces and your sleeping pad will come already packed down for space saving at a size of 3 x 8 inches. In the box you will not only find the sleeping pad itself, but a stuff sack so you can carry it on your backpacking adventure, a patch kit in case you need to make quick repairs, and a Lifetime Warranty. The Static V2 is super lightweight, while still offering superb comfort and warmth. It only weighs 16.03 Oz – essentially one pound on your back. It comes in one size at 72″ x 23″ x 2.5″. While it doesn’t come in a longer size, it is wider than most other comparable pads that are often only 20 inches wide. When it comes to comfort, the Static V2 is constructed with V-shaped baffles down the center of the pad that distribute weight between the air tubes so that they don’t compress so easily when a heavier body part is lying on them. This is especially important for those of you who sleep on our side with weight through the hip area but also benefits front and back positions. The baffles are made to form deep welds so that there is less likelihood of areas flattening under body weight causing cold spots. As well as the “V” shape, there are also dynamic side “rails”, that help to keep you centered and secure on the pad. They also help retain the air, central, for warmth where it matters close to your body. 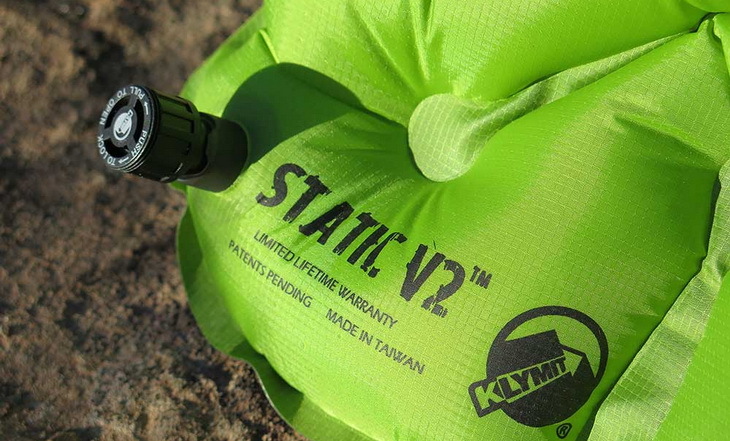 One of the developments Klymit has made for the Static V2, is the use of specialized fabrics. By choosing 30D Ripstop polyester material on the top surface, they have reduced the weight of the pad yet retained quality and comfort. The bottom surface 75D Ripstop material is slightly heavier denier to resist tearing or punctures as well as being abrasion resistant. The laminate used for the fabric is impregnated with antimicrobial treatment to resist fungal and bacterial growth. Microbes could make the inner smell and damage the fabric fiber over time. This is more of a problem when you use your own breath for inflation because of the added moisture content of your breath. Each Static V2 is supplied with a repair kit that includes patches, that can be stored in an integrated pocket of the pad’s storage sack so they are always there if needed. 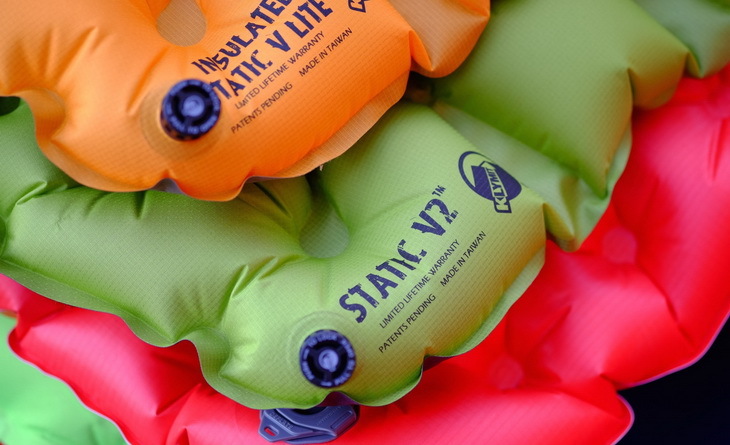 The Static V2 has an insulation value of 1.3, which is on the low side. However, as some users pointed out in some customer reports, not one of them found it inadequate for insulation. Perhaps it also helped because the unique V baffles and deep channels act as air pockets, which warm up under your sleeping bag, adding further insulation, which is not measured during R-rating. If you need more insulation, say, during colder months, you can find a great sleeping pad that will work in colder climates and seasons. The Klymit twist-pull valve allows for very easy, simple inflation within as little as 10 breaths, depending on your lung capacity of course. The mechanism is stable enough to prevent opening by accident, but opens wide for rapid deflation when you need it. Some sleeping pads have larger air valves so you can quickly deflate your sleeping pad in seconds, and then roll it up and store it in the stuff sack so you can continue on your backpacking fun! The stuff sack can even attach to the outside of your backpack, so you will not have to worry about storing it. Wash your Static V2 regularly in warm water and dry thoroughly. Always close the valve before washing. To remove extra soiling, mix 1 tablespoon of baking soda with 2 cups of warm water, and sponge with a cloth. Rinse and dry. Never put your pad in a washing machine or use any detergent to clean it. Recommended storage is simple – clean, dry, rolled up in the storage sack provided. There are recommended methods to roll up your pad so that it compresses into the stuff sack provided. Open the valve and push most of the air out. Fold the pad in quarters lengthwise and roll up from the bottom. Klymit also provides video links if you need more information for this. You really can not go wrong with the value for the money. There are surely many more expensive sleeping pads on the market that will offer the same features and comfort that this sleeping pad has. Surely, this is a bargain, as many people of varying sizes say this sleeping pad is like sleeping on a cloud! The value is also especially great because this product has been updated from a previous version, offering a lighter product overall and lighter fabrics are used. Should you not be satisfied with your Static V2 pad, there is a full money back guarantee within 21 days of purchase provided it is returned in ‘like new’ condition. All Klymit products are guaranteed to be high-quality manufactured and material defect free. 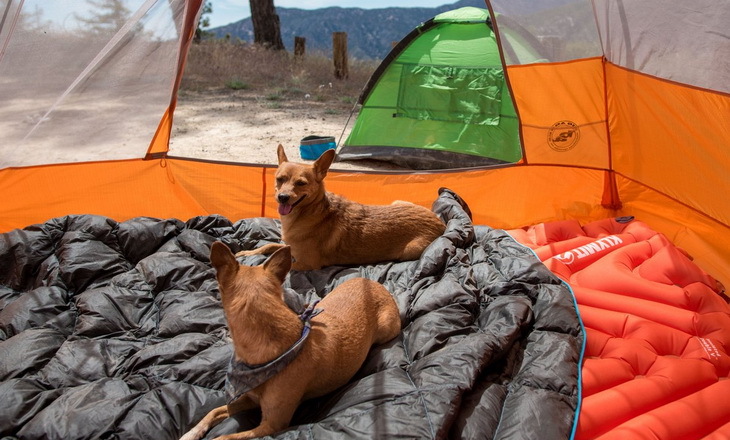 Their camping pads, including the Static V2, are guaranteed for the life of the pad, excluding normal wear and tear, unauthorized changes, abuse or neglect. If a product is discontinued, or a replacement unavailable, a comparable product would be substituted. 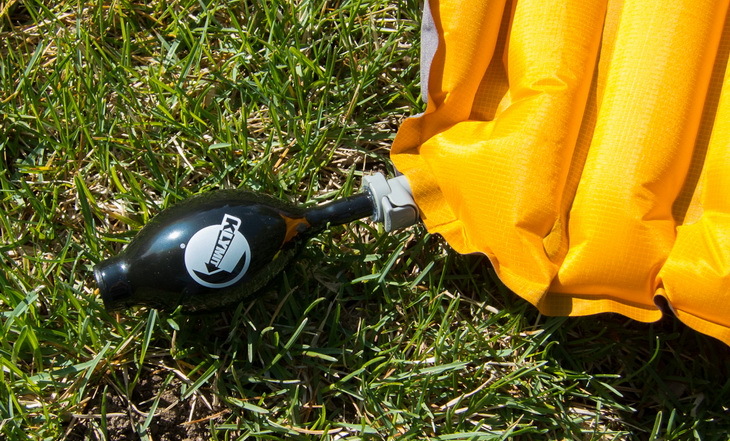 For the Klymit warranty to apply, the pad has to be purchased from an authorized Klymit reseller or dealer. Below you will find three reviews of sleeping pads that you can consider as your next purchase. These reviews will give you an idea of what to look for when you do go shopping, and will give you specifications of the sleeping pads so you know what will work best for you. Happy shopping! The OutdoorsmanLab Ultralight is a very light sleeping pad that weighs under a pound and packs down to the small size of 9 x 2.75 x 2.75 inches, which means you have more room in your backpack for other gear, as this fits in the palm of your hand. With a 2 inch thick air cell design, you will feel comfort and support all night long. With the 20 D Ripstop Nylon fabric, you will have a waterproof, tear resistant, and weatherproof sleeping pad that will surely last you a long time! The isolated air channels will not let air move around, which will keep heat in and your body warmer. This sleeping pad comes in two colors, which are Green and Orange, and it comes with a larger air valve so you can deflate your sleeping pad in just a few seconds. You can use the air valve to inflate it, which takes 10 to 15 breaths, and it can be deflated in no time, so you can get on with your journey! This sleeping pad is a steal for the price, as the comfort, materials and other great features can easily trump those that cost twice the price! The Klymit Static V Sleeping Pad has a 4.4 R Value, which means this is one comfortable sleeping pad. The V Chamber design keeps air still, holding in the warm, along with the synthetic insulation, which prevents the heat from being lost. 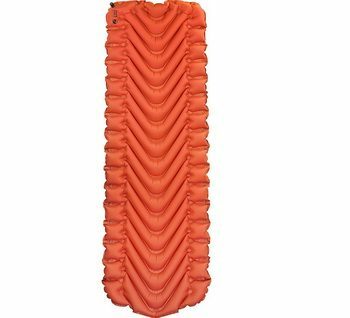 You can pack this 25 ounce sleeping pad down to 5 x 8 inches, which fits right in your hand, and can be packed simply with your other gear, without added weight or bulk. Included with this product is a stuff sack, for toting it around, as well as a patch kit for any repairs you may need, as well as a Lifetime Warranty! You can also choose one of four nice colors, which are Coyote Sand, Realtree Xtra, Orange Char Black, and King’s Desert Shadow. Users love this pad because it is comfortable, has side rails for comfort, and has a deep welding pattern that allows a comfortable warmth for your body. It is also rugged and ready for harsh terrain, as it is puncture, rip, and abrasion resistant! Plus, it is durable and holds in the heat when you need it most. Plus, it is made with strong 75 D polyester! The Hikenture Ultralight is very light in weight and can fold down to 10 x 4 inches, which leaves plenty of room for other gear in your pack, as well as it does not add any weight. It does have minimal insulation, with a 1.3 R Value rating. You can inflate this sleeping pad with your mouth, with 7 to 12 breaths and it will deflate quickly by pressing the air tap downwards. 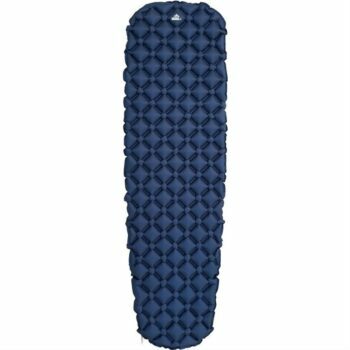 The Egg Tray Construction used on this sleeping pad allows you to feel extra comfort when you are ready for bed. Made from 20 D Nylon, it comes with a coating so it stays strong over time. 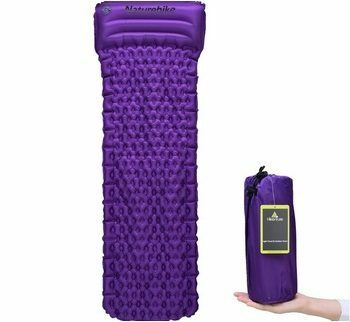 You can purchase this sleeping pad in 3 colors, which are Blue, Purple and Orange. Users love this sleeping pad because of the Egg Tray Construction, as it makes your back and side positions comfortable as you sleep. Users also love the pillow that is designed onto it, so they do not have to take one along themselves. They also say that you can sleep in virtually any position and experience comfort across the board. Some users say that it is too warm to use during warmer nights, as the heat does get trapped inside. Also, some users reported a little bit of squeaking when moving about. The Static V2 is designed to be exceptionally comfortable, extremely lightweight, and pack into a very small space. Despite its size and weight, it offers many features that you would normally only find in much heavier pads. This means you will be warm and cozy even in some very cold conditions. 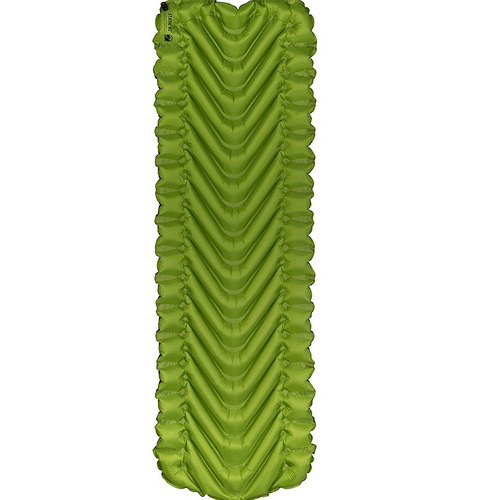 Various customer reviews are very positive about the Klymit Static V2 sleeping pad. The majority of people report that it exceeds their expectations concerning comfort and warmth. Despite it only coming in one size, more than a few hikers over 6 feet tall report it is long enough for their sleeping requirements. Another user, vouched for its durability, despite their dog deciding to try it out for size and attempting to scratch and twist it on rough ground before bedding down. It did not puncture at all. You could choose to use this model for sleeping on the ground, on various surfaces, or it could also be fitted inside a suitable hammock for extra comfort and warmth. You could also fit it inside your sleeping bag providing the ground is dry. 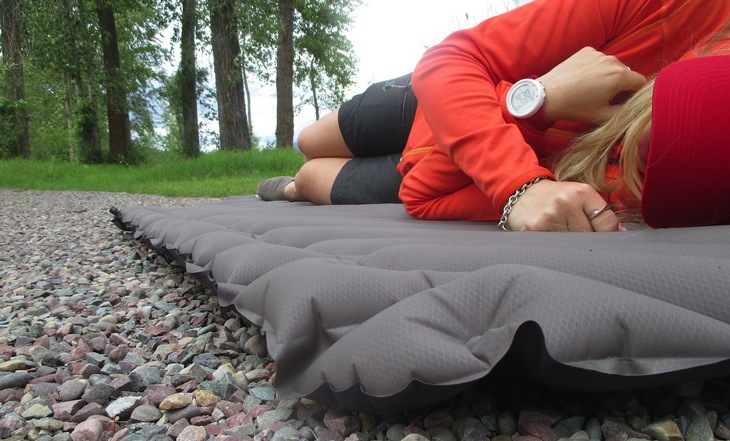 This sleeping pad has a lot to offer as far as comfort and ease of use. You can take it anywhere; hiking, camping, backpacking! The possibilities are endless! The light weight and ease of toting around is just a couple of things that make this sleeping pad great. While it may take a moment to learn how to use the air gauge, you will get the hang of it and enjoy many nights outdoors in your comfortable, new sleeping pad! So, if you are looking for a durable, lightweight mat, that takes up very little room in your backpack, and is good value for money, you should definitely check out the Klymit Static V2 Sleeping Mat. As a three-season mat, we are pretty sure that you will get a good night’s sleep wherever you find yourself in the back country. Of course, the final choice is yours, just take into consideration everything you learned from our article, and decide if this model is what you are looking for or you need to keep searching. What type of sleeping pad do you use? 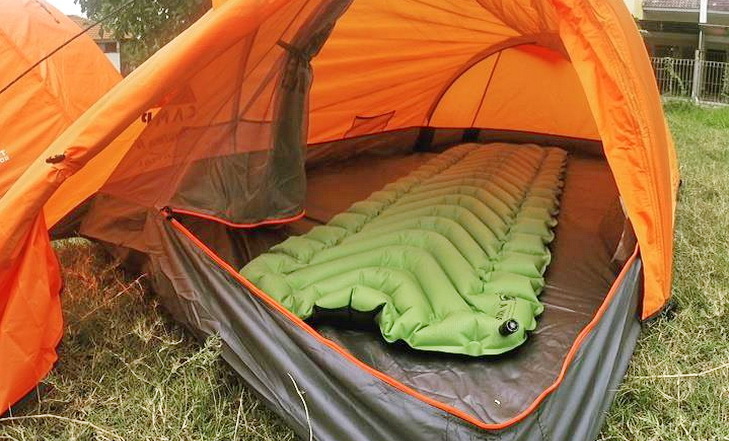 How do you think it stacks up to this particular sleeping pad? Tell us your thoughts and concerns in the comments section below, as we love hearing from our readers! 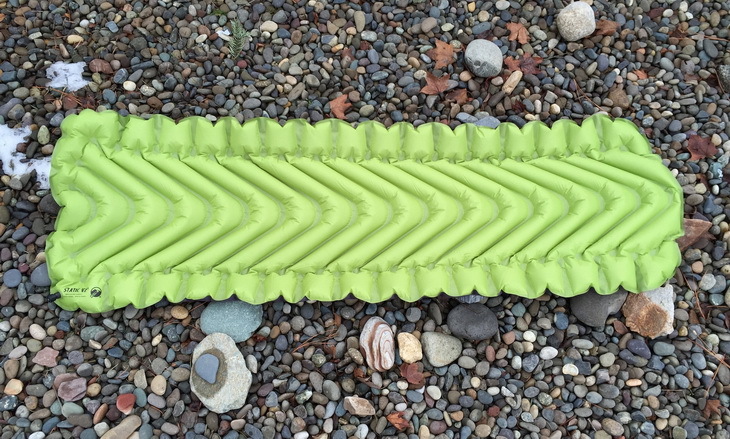 Thanks for reviewing this sleeping pad with us!